The Congress president is stronger than ever before to face the Sangh's defamation suit head-on. On June 12, a local court in Bhiwandi, Maharashtra, framed charges against Congress President Rahul Gandhi, in a criminal defamation case filed by RSS worker Rajesh Kunte. Rahul pleaded not guilty and the court said the next hearing on the matter will be held on August 10. On March 6, 2014, Rahul, at an election rally in Bhiwandi, had said, "RSS people killed Gandhiji and today their people (BJP) talk of him...They opposed Sardar Patel and Gandhiji". Following this, Kunte, secretary of the Bhiwandi unit of the RSS, registered a case against Rahul under Sections 499 and 500 of the Indian Penal Code dealing with defamation. But, while leaving the court room in Bhiwandi, the Congress president did not fail to make a dig at Prime Minister Narendra Modi. Rahul said, "Let the government keep filing cases against me. The current government is just run by around 10-15 rich people who are making all the profits. Modiji will not talk about the fuel price hike." In an age of political turnarounds and public apologies to escape defamation cases, as seen recently in Delhi chief minister Arvind Kejriwal's case, there is more to Rahul's stand than meets the eye. His decision to stand trial stems more out of political necessity than conviction. 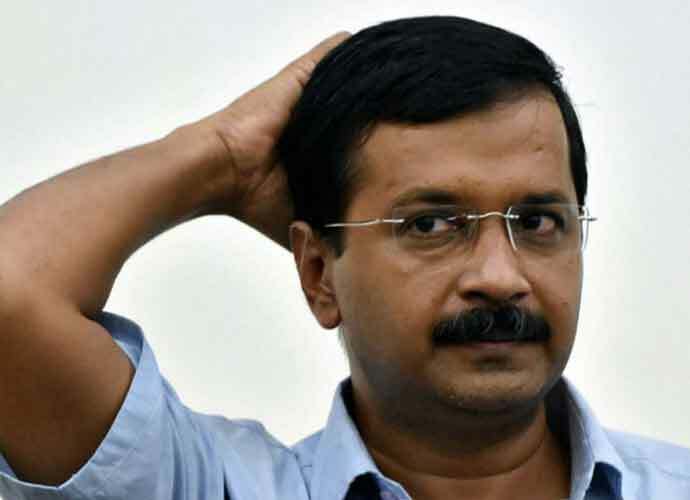 AAP samjjha karo: Arvind Kejriwal chose to apologise over a defamation charge. The Congress President organised his iftaar party on June 13, his first since he took over the reins of the Congress. The event became another opportunity for the party to showcase Opposition unity, with representatives of most grand alliance partners in attendance. But the most anticipated guest was former President Pranab Mukherjee, who had earlier, on June 7, attended an RSS function, much to the outrage of his party. 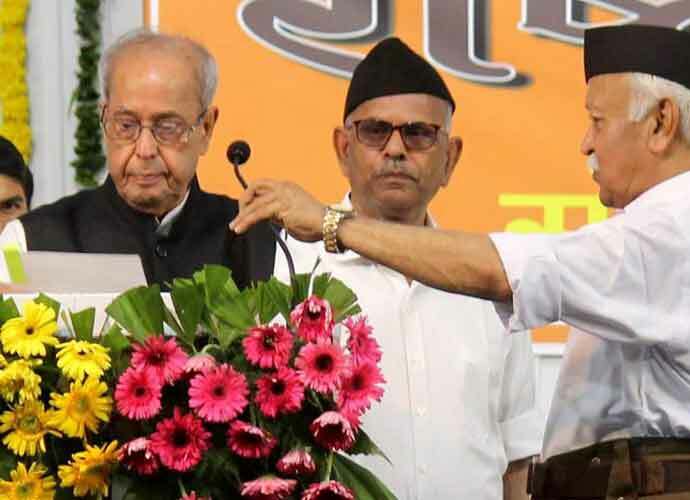 Why Pranab bloomed in RSS company. While senior leaders like Ahmed Patel had tweeted about how they were disappointed with Pranab's decision, the former President's daughter was perhaps his most vocal critic, cautioning her father about how the Sangh would gain legitimacy by his acceptance of their invitation. While the RSS was seeking legitimacy by inviting Mukherjee, the senior-most Congressman, to attend its event, the Sangh's agenda, of a Bengal push for the BJP in the upcoming 2019 polls, did not escape the Congress' strategists. 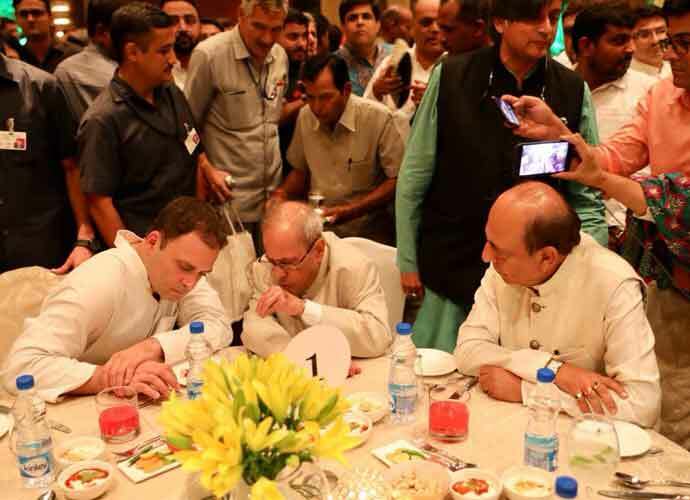 Most skeptics were unsure if Rahul would invite Pranab - but the Congress President showed political maturity and not only invited the former President to the event, but also ensured that the former first citizen was seated next to him. Organised just when the Rashtrapati Bhavan iftaar party was discontinued by current President Ram Nath Kovind, Gandhi was successful in sending across the message about his party's secular credentials during a much polarised time in the country. Did they discuss his latest outing to Nagpur? The ruling BJP was quick to target Rahul, saying the Congress president's Iftaar party was just an eyewash and an attempt to appease Muslims for pure political gains. But Gandhi's initiative found many takers in his political constituency. Something that became quite apparent via the criticism of AIMIM chief Asaduddin Owaisi, who tweeted: Give a Speech at RSS Head Office, praise it’s Founder and comfortably come to Janedharu Iftar party and if my party contest elections will be called communal & what not but inviting & sharing a table with @CitiznMukherjee is “normal ,acceptable “Hypocrisy of Highest order"
While cementing his party's secular credentials, Rahul also sent a signal to the minorities, that he will not shy away from such events, especially in the light of accusations that the Congress leader was toeing the line of 'soft Hindutva'. With the BJP ruling more than three-fourths of the country and the grand old party now relegated to barely three states, the Congress President has his work cut out for him. Going into an election year, he needs some ammunition to attack the ruling party - and win some sympathy in the process. What better way than to target the mother organisation to which the BJP owes its allegiance. The ruling BJP swept to power in 2014, riding on an anti-Congress wave. 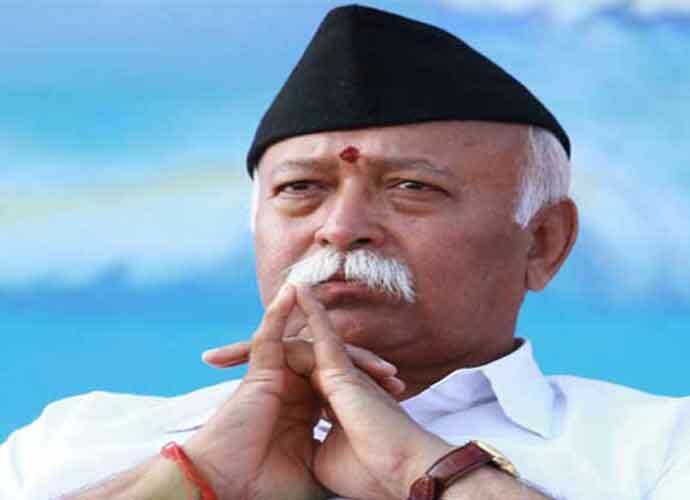 Along with Modi's popularity and the party's massive election machinery, under the able guidance of Amit Shah, this was also aided by the organisational strength of the RSS. While the Modi-Amit Shah duo sold 'achhe din' and 'sabka sath sabka vikas' to the nation, the Sangh helped get the Hindutva vote. The combination was so potent that regional parties like the BSP, relying on their core Dalit vote bank, were reduced to zero. Long accused of having found his political mark by being born into the Nehru-Gandhi family, Rahul knows that the only way to ensure his political survival in 2019 Lok Sabha elections is to take on both the Modi-Amit Shah duo as well as the Sangh. While Rahul has been leaving no stones unturned in taking on Modi, his decision to stand up to the defamation suit would surely rile many within the saffron outfit. The organisation has long been trying to disassociate itself from the killers of Gandhi, but the case has definitely brought back the spotlight on its role in the assassination. It also shows a more confident Rahul unwilling to back down. Who killed Gandhi? Such speculation has haunted the RSS for decades. While the BJP may have you believe Rahul is still a 'Pappu', the leader's decision is bound to find him much support. Since 2014, a defeated Congress could just sit back and watch while the ruling BJP went about appropriating its stalwarts. Everyone from Sardar Patel to Ambedkar became overnight heroes for the BJP while Gandhi became the face of the PM's 'swachh bharat' mission. But a resurgent and charged Rahul is not willing to take this any longer. With a grand Opposition already in place to take on Modi in 2019, Rahul is going a step further by pushing the RSS to a corner. Aware of the importance of going into an election year, Rahul knows his own political future hangs in balance in 2019. If the Congress fails to make a mark in the upcoming Lok Sabha polls, his leadership within the party, long considered a given, would itself come under a cloud.